What a week it has been! We’ve arrived at the last giveaway of Design Improvised’s Birthday Week and I’m ending with an awesome one for all you crafters. 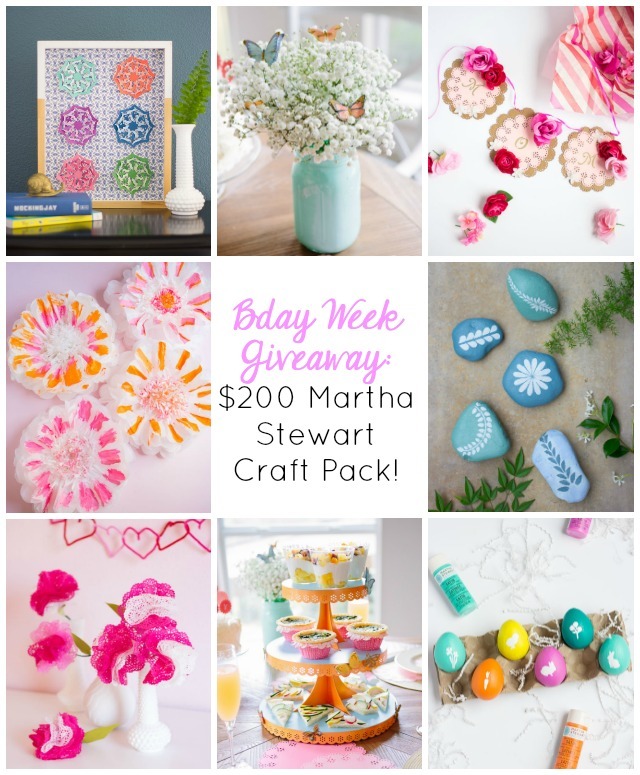 I’ve partnered with the folks at Martha Stewart to give away a mega craft supplies package worth $200. There is not much better than having a big box of craft supplies arrive at your front door! Over the last few years I’ve had the awesome opportunity of participating in the 12 Months of Martha program, getting to try out new Martha Stewart Crafts supplies throughout the year and make whatever I could dream up. It was such a fun challenge and I ended up creating some of my all-time favorite crafts such as these painted rocks, doily flowers, and heart boxes. Check out the craft supplies that are part of the giveaway and enter at the end of the post! 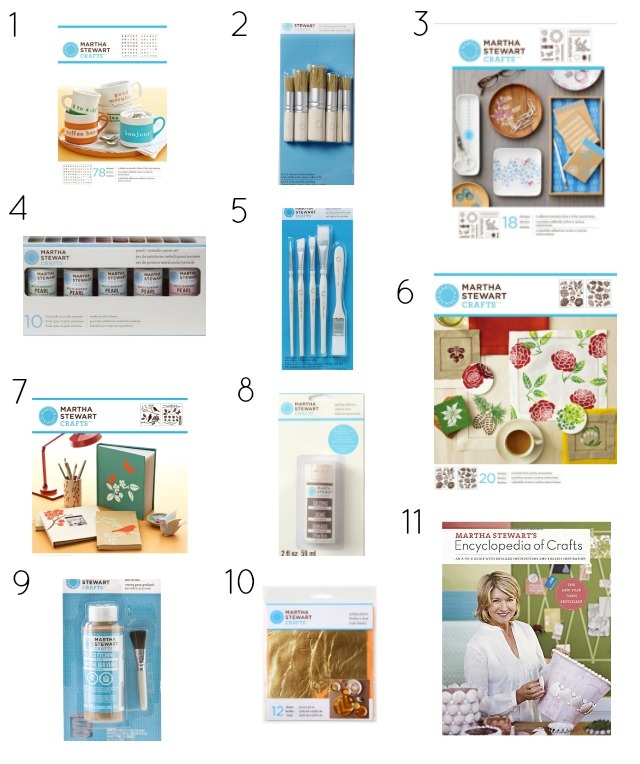 Enter to Win this Martha Stewart Crafts Supply Package! US entrants only please. Winner will be selected by random and notified by email. If they do not respond to the email within 48 hours, a new winner will be selected. A big thank you to Martha Stewart for providing the $200 worth of craft supplies for the giveaway.